If you are going to infuse liquor it is easiest to do it in large batches, and since you can not drink a large batch of infused alcohol yourself, it is only natural that you should share some with your friends! Last week I brought you my idea for bubblegum vodka. I spent this weekend with several of the brightest alcohol minds I know trying to come up with uses for this now pink colored liquor. It might amuse you to picture four guys sitting around trying to come up with ideas for a pink drink. Yes it is rather girly, but after extensive testing, which went late into the night, the winning flavor combination we discovered was to add lemonade. We found that the addition of lemonade with the taste of the bubblegum created a delicious and refreshing drink! To make our bubblegum lemonade it is very simple. Depending on the size of your container, I decided that a ratio of 1/3 bubblegum vodka to 2/3 lemonade. In the picture above I used pink lemonade which gave the drink that deep pink color. 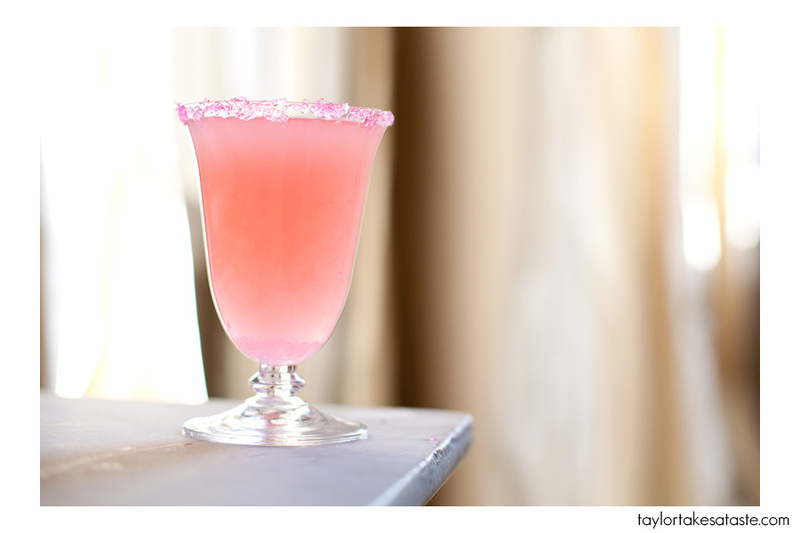 If you are having a party, then adding pink sugar to the rim of the glass is a necessity. Other popular combinations that we discovered were bubblegum vodka mixed with sprite or mixed with club soda. If you are in a big partying mood then you can’t go wrong with shots of bubblegum vodka straight up or mixed with a little bit of lemonade. Bubblegum vodka and lemonade got me thinking, what about bubblegum vodka and limoncello? It takes 4 days to make so stay tuned…. What would you mix bubblegum vodka with? My daughter was visiting this weekend and enjoys vodka. So I decided to make your bubble gum vodka. We used Double Bubble gum and 2 pieces of bubble gum per shot. It was delicious! We didn’t mix it with anything, but I have some left and will definitely try it with lemonade later this evening. Thanks for the recipe! I made lemon drop martinis substituting regular vodka with the bubblegum, they were delightful! bubblegum vodka + coconut vodka = a very tasty shot!